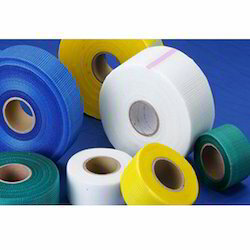 Pioneers in the industry, we offer fiberglass self adhesive drywall tape and fiberglass drywall tape from India. 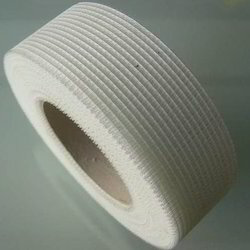 Fiberglass Self Adhesive Drywall Tape is manufactured using high quality fiberglass mesh and treating it with an adhesive. It has a property of easy to apply as it does not require pre-plastering, pasting or stapling. It will not tear, shrink, stretch or bubble, while it hides joints, crack and holes permanently. We are dedicatedly engaged in providing a large assortment of Fiberglass Drywall Tape for our precious patrons. Offered collection of this product is used in heat insulation material, protection and strengthen of the wall structure, protect the surface of marble and granite, widely used to reinforce cement, stone, wall material and roof. Apart from this, these products are offered to the clients at very reasonable prices. Heat insulation material, protection and strengthen of wall structure, protect the surface of marble and granite, widely used to reinforce cement, stone, wall material and roof.